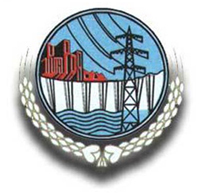 Wapda Issues | Vital Tech Engineering & Services Pvt Ltd. The power Supply failure may occur due to one or both of the following reasons. The restoration of power supply within the shortest possible time will be the responsibility of Vital Tech Engineering Services. The following terms and conditions will apply. Additional/New Material is required to replace the defective electrical system; the Company will get a Demand Notice from Wapda Authority and will submit to the customer for its payment with in Fifteen Date. In case of due date expires, for the revalidation of Demand Notice and Extension in its due date for payment, the Company will charge an additional amount of @ 20 % along with the original amount of Demand Notice. There might be cases of theft of Transformer, cable or energy meter etc. In all such cases, FIR is the requirement of WAPDA field stores, so the lodging of an FIR will be the responsibility of site Chokidar. In Case of no FIR supplied by the Chokidar, the Company will charge an additional amount of RS.5000/ as FIR charges. The supply will be resorted in a period not more than one day (except some exceptional cases). Any additional amount imposed by WAPDA like Audit note, Detection Bill etc. The company will be responsible for restoration of supply within 24 hrs in case of non payment of one month bill and will be paid by the customer within next 7 days. In case the payment of two consecutive bills is short, the company will have to pay additional amount of Rs. 5000/- as Reconnection Charges. The payment of additional bills (Demand Notices) will also be payable by the customer. The payment of Demand Notice amount will be arranged by the the customer within 5 to 7 days. Installation of meter connection will be the responsibility of VES. The Paid Demand Notice will be Re-submitted to the customer for office record.